So this funny thing happened where I opened this new skratch.dj website, only to have the domain scooped up before I even went live. So rather than go into lengthy negotiations with the new owner, I decided to cut my losses and start over with an all new domain. 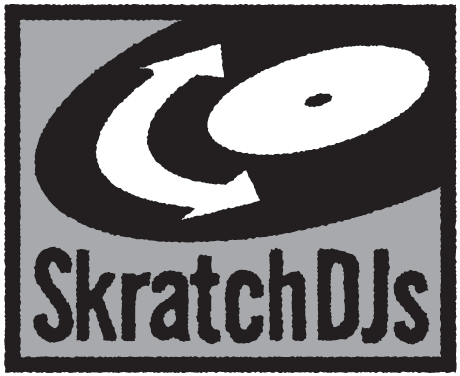 The focus remains the same - promoting the skratch DJ scene, but the name is new: www.skratchdjs.com. 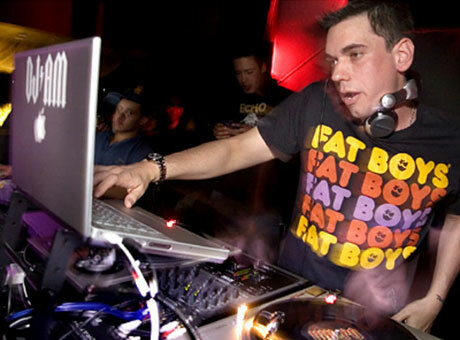 More bad news people, although you've probably already heard anyway - Adam Goldstein aka DJ AM was found dead in his apartment yesterday. Much of the news is rumour and speculation, so I'll leave it up to you to read the news elsewhere and draw your own conclusions. What I do find to be a spooky coincidence is that on the very same day, Oasis (a key component of DJ AM's signature set) announce that they're splitting up. Gosh - will it be like actually sitting on the edge of the lake when the first fish dragged themselves up on to the bank and evolved into dinosaurs? Or better still like gargling primordial soup? Actually, it'll be more like cavemen attacking woolly mammoths as Pioneer security drag me away from the new hotness as I do my damnedest to steal or disembowel the shiny pretty with the skratchdriver screaming "just a little peek - I promise to be gentle...". Looks like I'm off to see the launch of the new gear. 17th September 2009 - 6.30pm UK time and not a minute earlier. 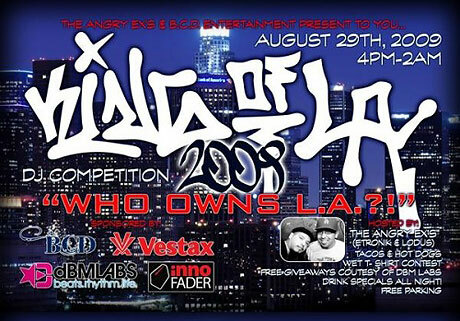 PUBLIC SERVICE INFORMATION: I haven't really been in the loop on this one much, but despite what you may have heard or seen on Myspace, the King of LA battle is apparently still happening this weekend. That is all. DJs are a funny bunch. Overwhelmed by the unstoppable steam train that is the digital age, we have a tendency to dig our heels in and resist change, until we realise that the new stuff may actually have merit. Oh how we scoffed at CD decks and DVS systems, but now they're the standards. So when something totally different hit these pages, the familiar sound of scoffing was evident. But being the open minded optimist that I am, I'm willing to give nextbeat (all lower case thus kicking good grammar to the curb) a fighting chance. EXCLUSIVE: One of the hottest, most unexpected but utterly logical things to come out of the DJ Expo was Denon's Scratch Live focused DN-HC1000S controller. Not a regular MIDI controller you understand in the VCI sense, but the one takes away much of the reading your email syndrome of DVS usage. Well what you see here is the finalised version, complete with a few additions. And I have a price for you as well. 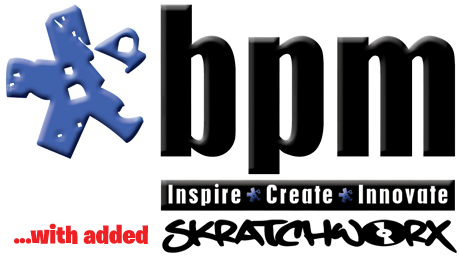 Now that The BPM Show is within spitting distance, all sorts of announcements will be spewed forth from the BPM PR machine as well as other reputable online sources - like Twitter. So expect all manner of info coming your way, but this time, it's about the VIP spinners who will be gracing the event with their presence. 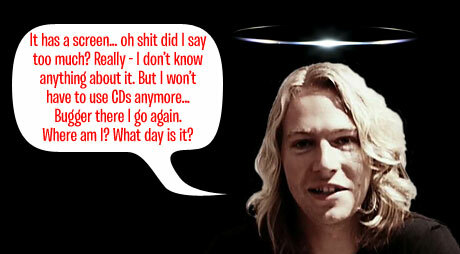 The official word is that a long list of household names (well DJ households anyway) will be here, but the word from Twitter is that James Zabiela will be there too. 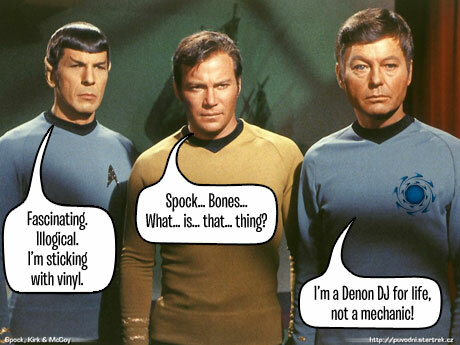 Whilst I do have an all new SKRATCH.DJ website to pimp turntablist things on, I've always done my bit to push the activities of DMC to the wider DJ audience. 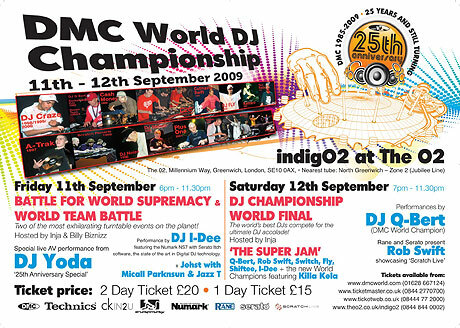 And this years DMC finals taking place 11-12 September at the IndigO2 in London are well worthy of attention, especially given the Silver jubilee they're celebrating and the big guests they have appearing this year too. And if you want to know a little more about the 25 years of DMC, you can check out the newly digital version of Hip Hop Connection. 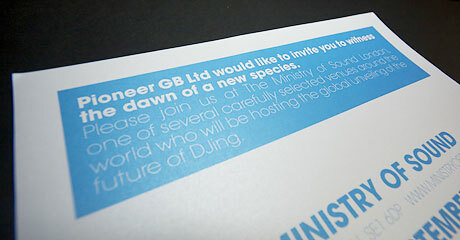 Want to meet exciting new people and show them how DJ gear works? 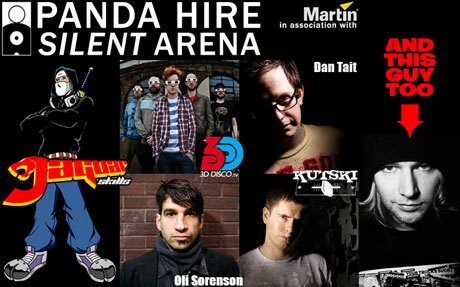 Feel the need to stand up in front of potentially thousands of people and demo your amazing digital DJ skills? 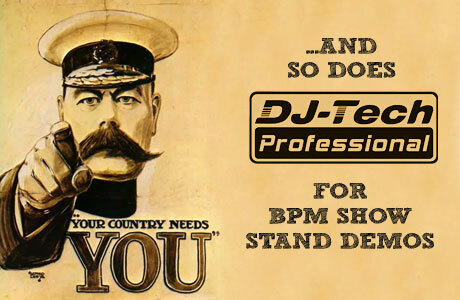 If so, DJ Tech want to hear from you, and are looking to hire someone for their stand at the BPM Show. 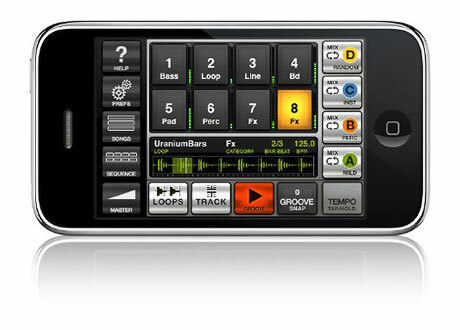 You know when I keep saying that squeezing the DJ experience into an iPhone probably wouldn't happen any time soon? Weeelll... I may have to eat a hat or something as Quixonic appear to shoehorned a highly credible DJ experience right into Apple's industry redefining pocket wonder. Enter Quixpin. Normally, the Pioneer PR machine is tighter than a duck's arse when it comes to advance information, but now it seems that they are in the hype building business. Check out this teaser video where jet setting floppy haired Pio poster boy James Zabiela speaks a lot but says very little about whatever it is Pioneer are bringing out next. If his tweets are anything to go by, he probably has no clue what time zone he's in. It's just 6 weeks before the largest DJ focussed show in Europe - The 2009 BPM Show - takes off at the NEC in Birmingham, UK over the weekend of 3-4 October. There's a long list of exhibitors confirmed to take part, but the biggest news is that skratchworx (with help from Pedestrian) has a stand as well - even if it was missed off the list. More after the jump, and you may be able to help me with a huge favour too. MIDI controllers are ten a penny these days and all offer much the same features but with differing quality levels and prices to match. But the one thing that they share is bog standard MIDI and the associated faffing around that goes with it. 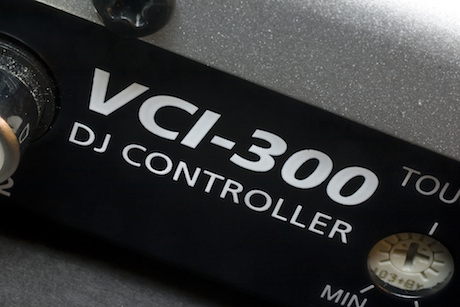 The Vestax VCI-300 does come in at the top of the controller food chain, but does away with all the config twaddle thanks to Serato's ITCH. I've given it a serious once - nay twice over and written a lot of words. While Serato announced ITCH2 - The Sequel, others have been working hard to snare the functionality of ITCH hardware for themselves, and this one doesn't come as any surprise. Virtual DJ already has support for a huge amount of MIDI controllers, but because of their rebranded Numark Cue product, they've been whipping the R&D lab rats until they could get even the normally awkward platters on the Numark NS7 to work outside of ITCH. While we iPhone owners (did I mention that I finally succumbed?) wait patiently for iSSL and Traktor Scratch Phone - the full on DVS scratch experience in the palm of your hand - other companies are pumping out other DJesque experiences. IK Multimedia have had Groovemaker in its stable for years now, and the developers have decided to squish it down into an iPhone app. 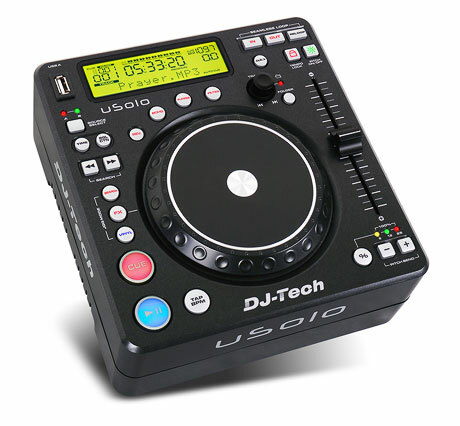 As if one tiny media player wasn't enough for one week, DJ Tech have announced another miniscule music mashing box. The precariously balanced uSolo however does away with media completely, and unlike the new Denon DN-S700 works entirely with USB. Last and most definitely least are some entry level cans. After the onslaught of Denon hotness, it's incredibly hard to come up with anything even vaguely interesting or exciting to say about budget headphones. 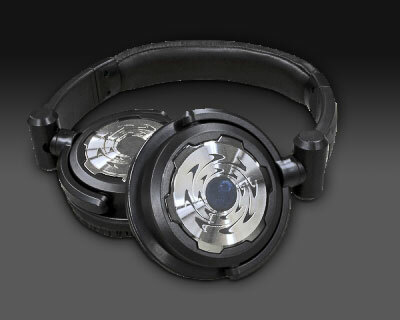 Ummm... they're very Denony and if you absolutely must have some Denon wrapped around your head but don't want to spend much, the DN-HP500s are for you. 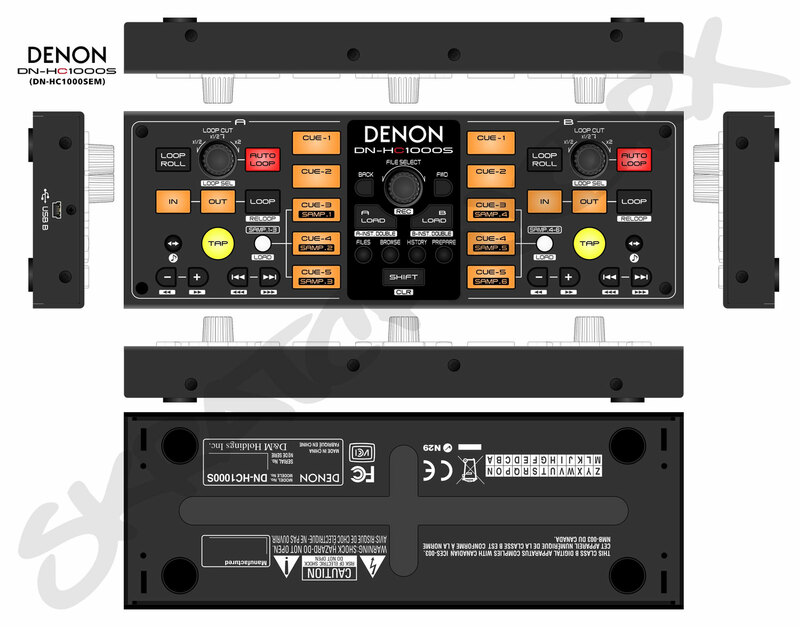 If this had been MusikMesse (which started on April Fools day this year), I would have spun out a ridiculous story about the new Denon DN-S700 being just 4 inches wide and shopchopped an image of one in the palm of my hand. For that is what I thought when I learned of the 700 - that is was even smaller that the diminutive DN-S1200 - but it isn't. It's simply an entry level CD deck that does what it's supposed to without all the bell, whistles and crap that often gets in the way of just playing music. When I skimmed over an accidental press release last week, I pretty much missed the significance of the new DN-HC1000S. My mind has become dulled to the former excitement elicited by the words MIDI and controller. But on closer inspection, this is an idea I (and probably many others) had years ago - a very specific controller for Serato Scratch Live that frees you up from constant keyboard action. Good work Denon. 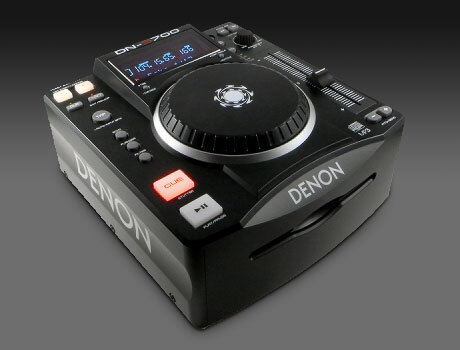 Decisions decisions... should I have posted the Denon story first or this one? I don't suppose it really matters as Serato's announcement about ITCH 2 isn't really a surprise. What is interesting is if you actually read the release in detail in the absence of pretty pictures, so that you can get what's coming. Another year - another Denon D-Day. Seemingly unaffected by the global credit crunch (didn't they get the memo? 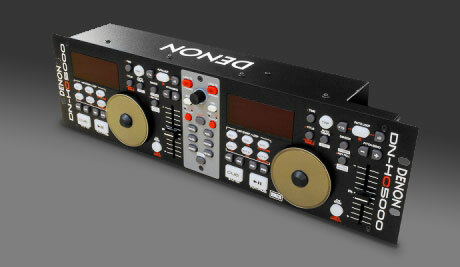 ), Denon continued to unload even more units for gear hungry geeks to spend the little money they have left on. 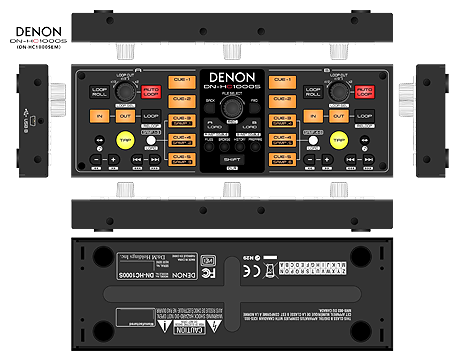 The Denon HC-5000 looks like a typical Denon rack mount jobby, but this particular box is powered by Serato's ITCH, and I'm a big ITCH fan so half the battle is won for me. Show time people - DJ Expo kicks off in Atantic City tomorrow and the big guns are rolling out their new pretty shiny toys for the gathered DJ masses to paw over and destroy. We already know that Denon have some hot stuff coming (you'll like it for sure), and Pioneer were rumoured to be unleashing some stuff in September. But it looks like one of them (yes - I'm pretty sure what the others are too) is making an early appearance. 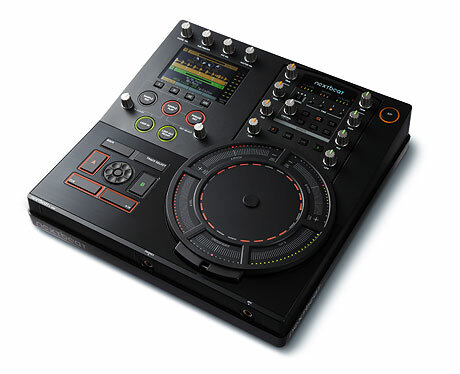 Say hello to the DJM-5000 - the 3000 for the digital age. While some DJ software languishes in the pit of single OS despair, most have clawed their fingers out and have accepted the harsh reality that the DJ world is split evenly between Windows and OS X. But there is just one piece of software that ticks all the OS boxes - yes including Linux - and that is Mixxx. Having just hit v1.7, it now has a reworked MIDI mapping engine, as well as new scripting features to get the most from your MIDI gear. But here's the best part - it's does it for free. Those of you have been around these parts will be aware that skratchworx is very much a personal journey, where I've hooked up with a number of people who have made the journey that little bit more memorable. 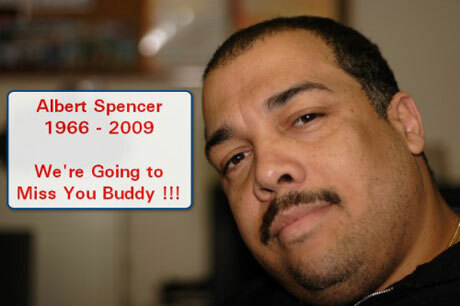 One such person was Albert Spencer aka DJ A-L, who sadly passed away this weekend. I'm a little late this month with the Flud goodies but well done to Craig Watson in London for winning the Gun Metal Tableturns watch. 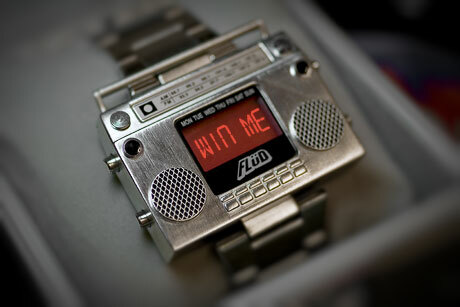 This month, it's time to unleash the Boombox - a Silver Boombox in fact. If only it had an LL Cool J "I Can't Live Without My Radio" alarm sound - that would be even cooler.